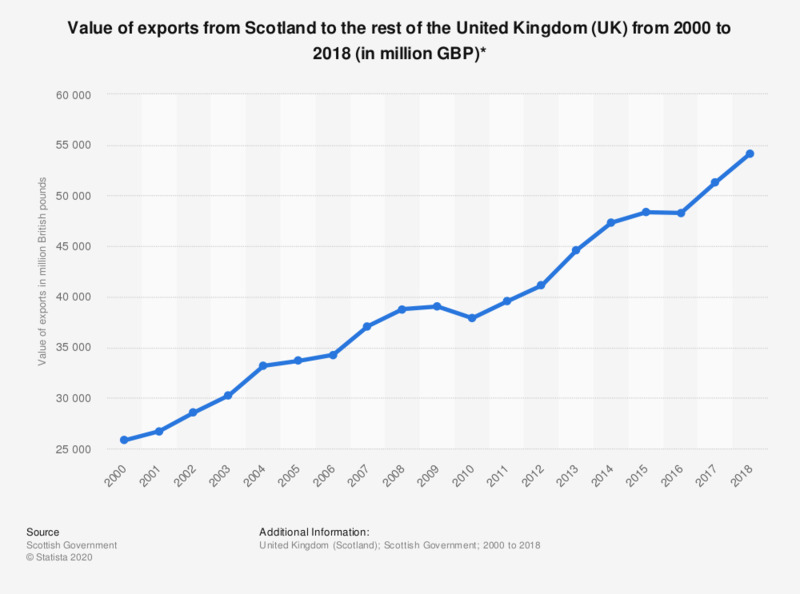 This statistic shows the value of exports from Scotland to the rest of the United Kingdom from 2000 to 2017. With the exception of 2010 and 2016, the value of Scottish exports was constantly increasing over this eighteen year period. In 2017, the value of exports amounted to approximately 50.8 billion British pounds.